For most people, a drink or two can be a way to celebrate an occasion or compliment a nice meal. Others may not enjoy alcohol at all; they don’t like the taste, they don’t like the sensation of being tipsy, or they don’t like feeling out of control. If you happen to fit into these categories, understanding the problem drinker in your life can be very difficult. At Origins, we are an organization comprised largely of recovered alcoholics, so we understand all too well why people drink—not only at the beginning of their “drinking careers,” but once addiction has taken hold. In this article, we address a few of the common reasons why non-alcoholics drink, as well as the driving factors in the disease of alcoholism. In the early stages of drinking, people often discover that alcohol produces a range of pleasant effects. 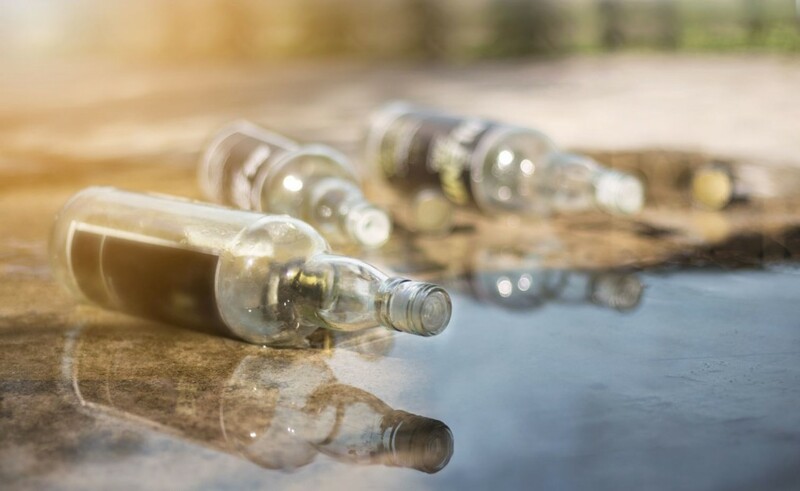 These effects are often so elusive that people continue to drink even after their drinking has become “a problem.” Here are a few of those effects noted by both moderate drinkers and alcoholics alike. For both moderate drinkers and alcoholics, alcohol has wonderful anxiolytic (“anti-anxiety”) properties, meaning it can inhibit anxiety or the feeling of stress. It is a common way for people to unwind after a long day’s work. Alcoholics often discover this effect early on in their drinking career. As addiction takes hold, the afflicted person continues to drink despite evidence that alcohol is no longer providing any semblance of stress relief. Propelled by the delusion that they can stop after a glass or two, they unsuccessfully chase this feeling of relief. More often than not for the alcoholic, drinking alcohol exacerbate the very stress they were hoping to avoid. Many people drink when others around them are drinking. In fact, most non-alcoholics tend to drink in social situations, such as weddings or football games, where alcohol is considered a part of the event itself. Though the term “peer pressure” is often associated with young people, it is not limited to those in junior high, high school, or college. Drinking is prevalent in our culture, socially accepted, and legal. Peer pressure to drink alcohol can exist at any stage of life. For the alcoholic, the obsession to drink can turn peer pressure into a cleverly disguised excuse for drinking—even when they know they shouldn’t be drinking based upon mounting evidence it’s a problem. Often, alcoholics believe they are drinking to have fun and enjoy time with their friends which is oddly ironic as they frequently drink alone. Binge drinkers may become so uninhibited that they behave in an inappropriate, embarrassing, or obnoxious manner. For alcoholics who have developed an overwhelming obsession to drink, this effect can deteriorate relationships and cause untold horror. While there are many reasons that a person may begin to drink, people with the disease of alcoholism will find those initial reasons no longer drive their drinking patterns. At Origins, we believe that alcoholism is an illness that influences the mind, body, and spirit. When the disease of alcoholism has taken hold, the alcoholic will begin to drink more than they intend. Normal drinkers (people without alcoholism) will find that they are easily able to limit the number of drinks that they consume. For the alcoholic, this may seem impossible. They begin to “lose all control of their liquor consumption once they start to drink.” For them, the first drink sets off a craving for more alcohol which can lead to a spree or binge. This can result in consequences that the person may not have otherwise experienced if they had been able to stop after the first drink. It’s an obsession to drink normally. An obsession to drink without consequences. An obsession to minimize it’s destruction. An obsession to drink in secret hoping to fool the family, friends and employers who know exactly what the problem is. At Origins, we believe that freedom from the obsession—and therefore freedom from the allergy—cannot be accomplished by behavioral changes alone. In other words, simply being aware that one can no longer drink effectively will not produce sobriety. We believe that alcoholics pursuing sobriety must maintain and grow their own connection to a power greater than themselves. This is referred to as the “spiritual solution” often discussed in 12-Step meetings. When the mental, emotional, psychological, and physical influences that exacerbate alcoholism are addressed, people are able to open up to a spiritual awakening that can produce permanent recovery. The first step can happen today at: 844-843-8935.